To what news story does this cartoon refer? Ohio Gov. 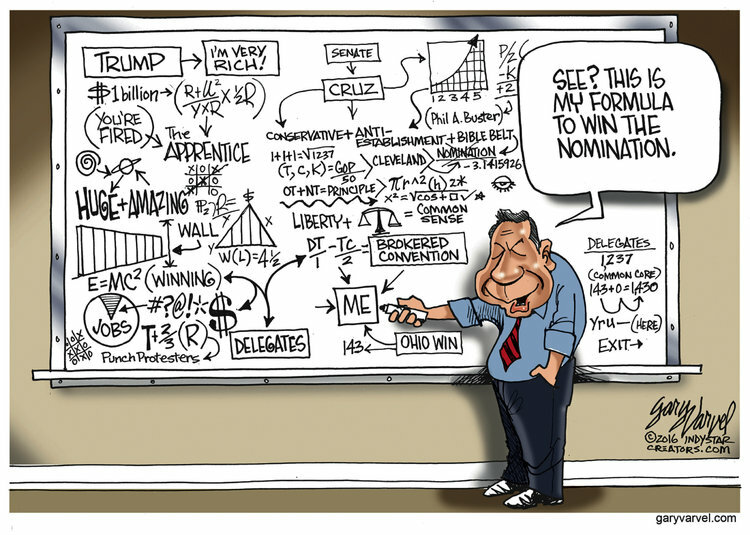 John Kasich rejected fellow Republican candidate Sen. Ted Cruz’s calls for him to abandon the presidential race, insisting that he is the only Republican who can win in a general election, despite the fact that having less delegates than even former candidate Sen. Marco Rubio.